Where does all of the time go in life, anyway? I want to apologize for my abrupt hiatus from the blog; the last few weeks of school were a little more than hectic. However, let's not focus on that; let's focus on the fact that I am officially on summer vacation, and blogging can now become one of my main focuses! I hope you are all looking forward to reading newer and (hopefully) better material--I know I'm looking forward to writing it! For now, I'm celebrating my ascension into junior year and, of course, I'm just happy that it's summer! I'm currently rereading this book series from my younger years. Tassels + ties + espadrilles = the perfect pair of shoes for summer. Does anyone want to book a spur-of-the-moment trip to Mykonos? Another reason to travel to Disney World: they have embraced the croissant donut trend (finally)! Lastly, if you need a good laugh, check out the Facts. YouTube channel! With summer just around the corner, happy days are ahead, so the sentiment's true: "There are so many beautiful reasons to be happy." Awe cute corgis! Yay! Summer vacay! 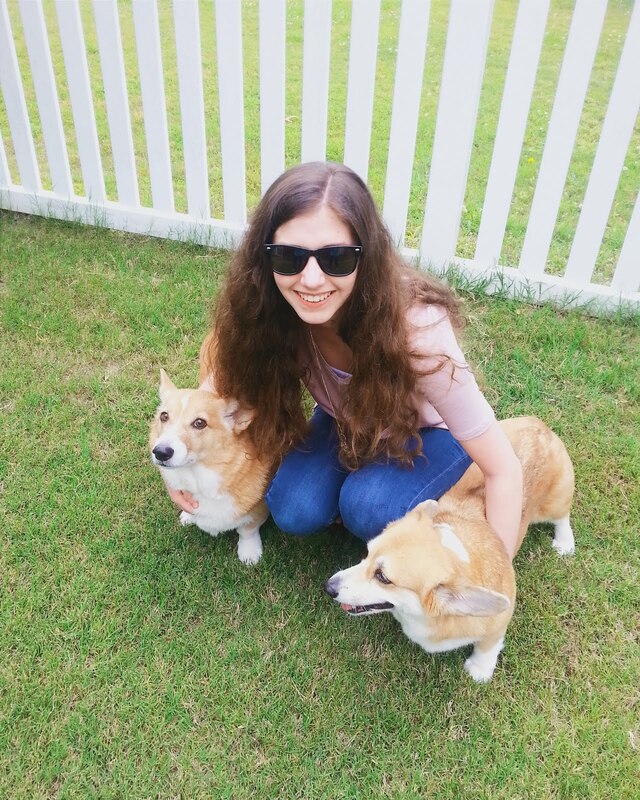 My corgis thank you! Thanks for reading!